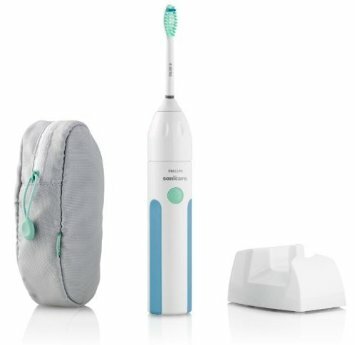 The Philips Sonicare HealthyWhite 710 is a mid-range electric toothbrush that whitens teeth (… apparently), cleans beautifully and features a modern design that makes it easy to clean, easy to use and easy to store. check out the HealthyWhite’s Amazon.com product page for more information. The Philips Sonicare Essence 5600 is a dependable entry-level electric toothbrush that delivers dentist-clean teeth for a very reasonable price. But it isn’t all sunshine and roses. This is an older model and it shows. The features have also been stripped down to the bare essentials. 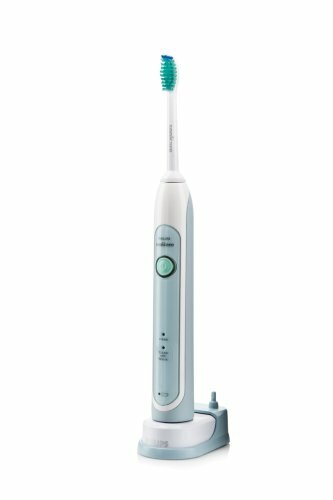 If you’re an experienced Sonicare user, check the features list to make sure you know what you’re getting.